These look pretty cool. I like stainless steel because it's easier to keep the smell out than plastic ones. Because it will get less gross, it's going to last you longer and save you money. Just wash it with a little soap and water and let it dry. No more paper bags or gross plastic ware! 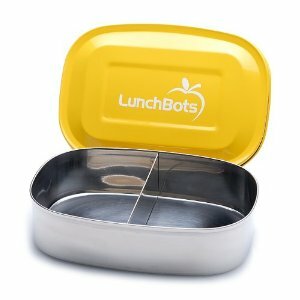 Go here to see the LunchBots Pico Stainless Steel Food Container in Yellow for $12.99.